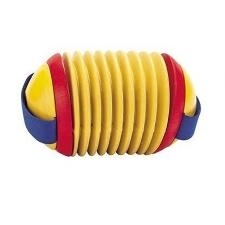 This musical toy stimulates children’s spatial perception in relation to sound pitches and develops motor skills. 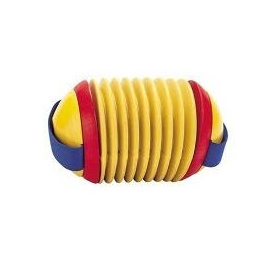 Stimulates children’s perception in relation to melodious sound pitches. Children learn to listen and appreciate tune and rhythm as well as develop their fine motor skills and bilateral coordination. The handles are made of fabric and sized perfectly for little hands.